Despite the premium price bracket, Apple’s iPhone range has now grown to become the third-biggest in terms of shipments and market share. Although the fruit company’s flagship smartphone offering lags a great deal behind fierce-rival Samsung in second and Finnish company Nokia at the top of the pile, the year-over year growth is staggering, suggesting it won’t be too long before Apple launches an assault on the positions of both Samsung and Nokia. Numbers firm IDC reports Apple as shipping 37 million units in Q4 2011, which equated to an 8.7% market share, with Nokia at 26.6% and Samsung commanding 22%. Samsung’s compatriot and fellow LCD specialist LG Electronics sat in forth, narrowly fending off competition from Chinese manufacturer ZTE. Whilst Samsung saw a steady growth of 17.6% during the 2011 calendar year, Nokia continued to lose its stronghold on the market, as has been the case for the last few years now. The company’s chief Jorma Ollila recently stated Nokia’s progress will be largely slow in parts of of 2012, and the overall –8.2% share on 2010 suggest the once domineering telecommunications company is losing its way – big time. Conversely, Apple has continued to thrive. 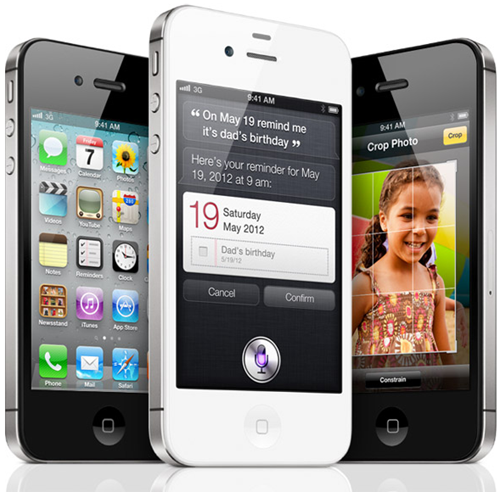 Bolstered by the sale of the iPhone 4S in October, Apple’s Q4 2011 shipment was up 128.4% on the same time in the previous year, and year-on-year shipments from 2010 nearly doubled – up 96.2%. Overall, the smartphone market grew 11.1% in 2011, which is down from 18.7% year-over-year growth numbers from 2010. This won’t be of much concern to Apple, though, as it’s the only vendor to produce smartphones creating “continued double-digit growth” . As we know, despite astronomical growth, things don’t continue indefinitely in such a manner. Sooner or latter, Apple will hit a plateau whereby the 100% growth cannot be continually achieved. Nevertheless, the numbers do look mightily impressive, and with Nokia in free-fall, it looks as though Samsung and Apple may be doing battle (once again) for top spot.